Ever wondered how the electric vehicle market has progressed and continues to do so? 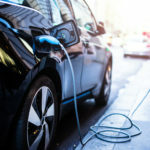 The Committee on Climate Change (CCC) recently urged the UK Government to set a target for the number of electric vehicles sold by the end of the decade. They believe that by 2029 at least 60% of new vehicles sold all over the UK should be electric. The committee has called for a 'boom' in the electric market. It is thought that this is the only way the UK will edge towards fulfilling their legally binding climate targets. The CCC said that Government must work on how it can support this growth. Looking into tax incentives and financial support plus a strategy for rolling out strict emission standards. Making electric driving accessible and improving vehicle charging infrastructure beyond 2020. With this target published the manufacturers have had to take note. Companies like VOLVO and Ford have started moving towards an electric vehicle revolution all over the world. There were over 750,000 electric vehicles (EVs) sold globally in 2016 and over 2 million electric cars already on the road. Experts believe that a new record has already been achieved. 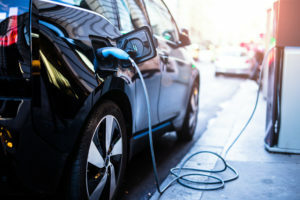 In line with this, the famous carmaker Volvo has recently reported that all its new car models would be completely or partially battery-powered from 2019.